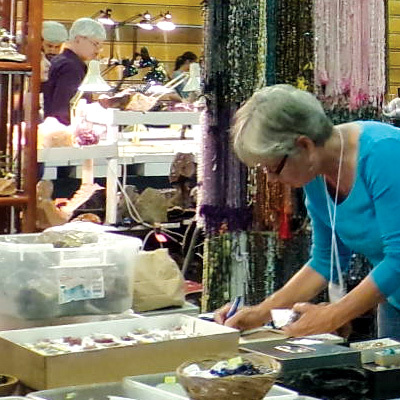 The last full weekend of every September is the time of the Museum’s annual gem and mineral show. The show is in several parts, as listed below, and is open to the public. Bring the entire family—there is something for everyone! 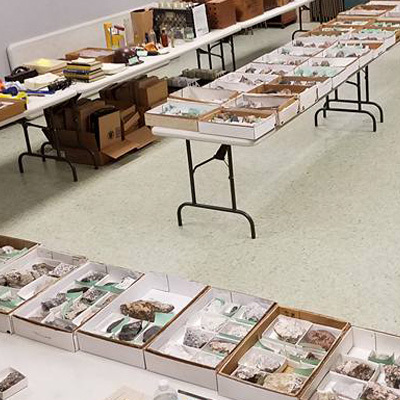 Hundreds of Franklin-Sterling Hill mineral specimens are offered for sale in Kraissl Hall of the Museum, starting on Friday at 10:00 AM and continuing through Sunday.Most such sales feature mining artifacts, books, and various historical items in addition to minerals. 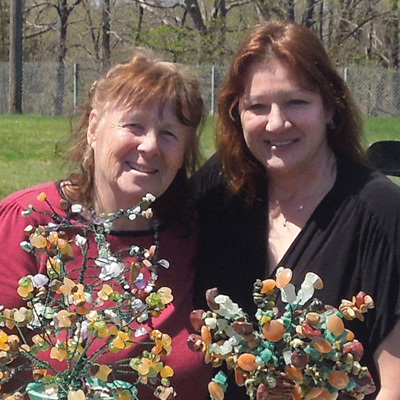 The main show, held Saturday and Sunday, takes place in the spacious interior of the Littell Community Center, on Munsonhurst Road (Route 517) near its intersection with Route 23 in the southern part of Franklin. Dozens of mineral, gem, fossil, and jewelry dealers come to Franklin for this event and open up shop. This show is sponsored and organized by the Franklin Mineral Museum and is the Museum’s largest annual event. 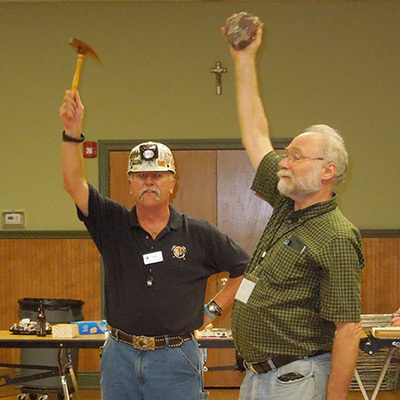 A similar show that takes place in April, in the same venue, is jointly sponsored by the New Jersey Earth Science Association, the Franklin-Ogdensburg Mineralogical Society, and the Sterling Hill Mining Museum. This event, held Saturday and Sunday, also takes place at the Littell Community Center.This event is held outdoors along the access road between the ball field and playground. Depending on weather, up to 100 (sometimes more) dealers and collectors set up tables on which to display their items for sale, including minerals (both local and worldwide), jewelry (lots! ), gems, fossils, and more. One of the main attractions of this part of the show is that one never knows what will show up; items seen in recent years include a shillelagh and a bullwhip. This part of the show, as well as the show banquet listed below, are sponsored by the Franklin-Ogdensburg Mineralogical Society. A catered banquet during Saturday night of the show weekend gives attendees a chance to relax, eat good food, and converse with fellow collectors. Over the years the banquet has taken place at various venues, but generally it is held in the Lyceum Hall of the Immaculate Conception Catholic Church at the base of Main Street in Franklin.